Alright.. most of you wanted to know about our trip to Turkey.. Firs, I wanna ask you.. Do you know what’s the capital of Turkey? 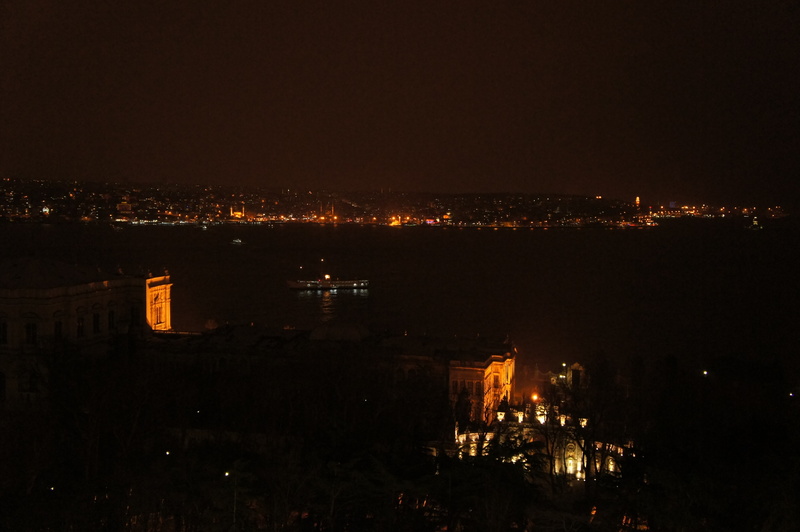 Nope, it is NOT Istanbul.. it is Ankara!! Hahahah… I got that one wrong too!! It was Istanbul until 1923, they moved the capital to Ankara 🙂 We learn something new everyday! Hehehe.. So, remember I told you the temperature there is 0 degrees.. I was wrong!! *dang* Few days before we arrived Ankara, it was minus 20degC.. and the day we arrived there, it was minus 14degC!! But at the same time.. the sun is shining… aaahhhhh… I just love living in a fridge with sunlight!! 😉 And guess what?!! Bella loves the cold weather… Initially she was quiet, like she’s thinking what’s going on around her, after a while, she get used to it.. and really enjoys the snow..!! Owh.. did I mention about the snow?? Yay!! This is when she really put the snow in her mouth, and she got diarrhoea for the next 3 days!! Hahahaha..
We stayed at the Bhosphorus area where part of Ottoman empire was located.. It is facing the sea with gorgeous view of the other side of the town..
Posted on February 23, 2012 April 17, 2014 by Dr Halina Mohd YunosPosted in FamilyTagged travel. Previous Previous post: How To Survive a Long Haul Flight with Your Baby? Next Next post: Our Wakil to a Wedding..
**i hv died waiting for you…..** hehehe…. 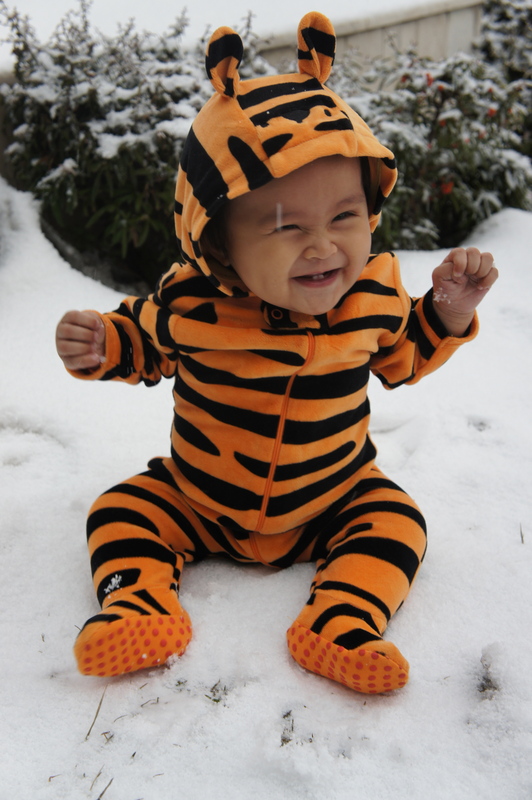 Bella ni, tau mummy dia doctor, saje je nak masuk mulut snow tu kan… hehehe! comel!!! grand bazaar is silk heaven kan doc ! i sampai 2 kali pergi , sebab tak puas pusing ! and their porcelain…geram !! cantik cantik colorful…………. i my country Iran, in winter in some cities we eat snow with syrup………it;s like ice cream……..i love it.but unfortunately, i’m far from home for 3 years and live in ur country……..
exactly……..i always loved to eat this mixture, but my dad as a pharmacist never let me to eat ice!i’m sure that u’re feeling was same with my dad! so nice..u both are cute..i wish i’ll be there one day! Tak freezing and shivering ke B main snow, doc? 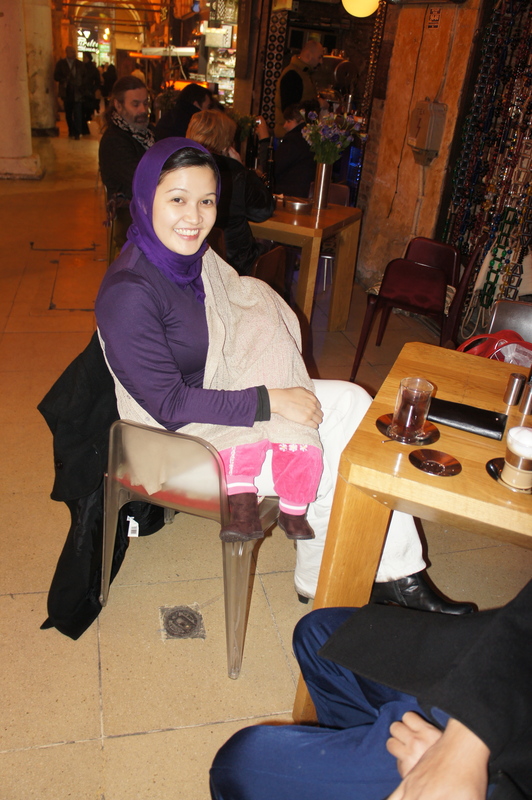 Reading ur blog, cant wait to go to Turkey… TQ for the short yet sweet info ya doc. yess..bella is back!…bella so lucky kecik2 dh sampai turki..auntie tumpang happy! Heheheh.. Hello Bruneians!! 😉 Thank you for supporting!! Fuhhhh…. Awsome post. Short n sweet. Lama tunggu ni tau doc. Btw, berapa tebal bella pakai? she got her thermal wear inside.. then another one or 2 layers outside, mama adam..
cute little bella always make me smile. rambut bella dah panjang balik mommy……. Hug n kisses from me to Bella. wow, best entry!! * tiap2 kali pun best, ok got that, Ankara..!! Dr., please please please about your nursing cover! senyuman bella sgt menawan.. geram tgk.. InsyaAllah, bulan may ni kami nak ke istanbul.. klu tak terbaca di entry ni, mmg i ingat kami akan ke ibu negara turkey.. selama ni mmg ingatkan istanbullah ibu negaranya.. he..he.. its ankara ye..
Cerita tak habis! So how do u survive long flight with a baby? Habis semua nursery rhyme nanyi? Cepat betul rambut bella panjang. kesian. hope bella will grow up looking more like a girl and a little beautiful. otherwise, jadi macam si rumer willis. Bella always make me smile, her noty & happy face tu yang geram tengok. Her impression nampak macam banyak cakap aje. Is it true Doc Harlina? rasa nak picit2 pipi Bella. Dr. halina, nak tanya, kat mane beli diapers bag tu?